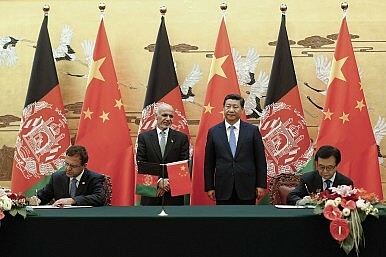 A new piece with a Chinese friend looking again at China-Afghanistan relations and trying to establish how Beijing might play a more positive role in the country. Something that looks increasingly complicated nowadays with the current chaos, but I think still remains an important project for Beijing to undertake. Much more on this topic to come as ever. 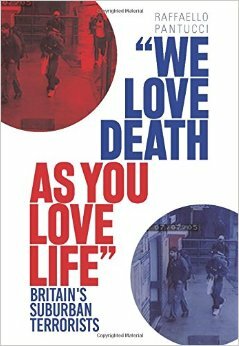 As is usual, however, most discussions with the media were terrorism related, including conversations with AFP, Radio France International and France 24 about the Thalys incident, and separately the New York Times about the death of British jihadi hacker Junaid Hussain and the Independent on Sunday about British women taking their children to join ISIS. Beijing needs to play a stronger leadership role in Afghanistan. New piece for RUSI about a curious and unconsidered problem emanating from the current chaos in Syria. Emerges from conversations with Jenni around the office about how Polio has started showing up in and around the conflict, as well as in other parts of the world where violent insurgent/terrorist networks operate. Maybe more on this topic coming. In the meantime, I did a few interviews around events in Xinjiang for the Associated Press, Shanghai’s CICA meeting (and adjacent China-Russia gas deal) with the Economist, Agence France Presse, and the South China Morning Post. The World Health Organization’s recent declaration of a public-health emergency due to the re-emergence of polio in countries including Syria and Somalia highlights the nexus between insecurity, violent Islamist groups and the spread of deadly diseases. The continual use of chemical weapons in Syria has shocked the world. It has also reopened speculation around the possible use of biological weapons. In January 2014, US Director of National Intelligence James Clapper suggested in a statement to the US Senate Intelligence Committee that the Assad regime is capable of producing lethal agents, though it may not yet have an effective delivery mechanism. But the potential use of such weapons is not the most pressing biological threat emanating from Syria. Earlier this month, the World Health Organization (WHO) declared a Public Health Emergency of International Concern (PHIEC) as a result of an unintentional bio-crisis: the re-emergence of polio, a deadly killer which was once almost eradicated. Over the last twelve months, twenty-five cases of polio have been confirmed in Syria, putting neighbouring Jordan, Iraq, Lebanon and Turkey at risk. Prior to its ongoing civil war, Syria had been polio-free for fourteen years but the country’s immunisation rates have plummeted from more than 95 per cent of eligible children before the conflict to around 52 per cent at the time of the polio outbreak. Tellingly, the majority of the children affected were born after the vaccination programme fell apart. The global, long-term impact of what appears to be a lost opportunity to rid the world of this crippling disease is just as devastating as any deliberate act of bioterrorism. The challenging security environment that has facilitated its spread should sound alarm bells for the future. Genetic sequencing has linked the strain of polio responsible for the October 2013 outbreak in the Deir Al-Zour province in eastern Syria to one of Pakistani origin that has also been found in Egypt, Israel and the Palestinian territories in recent months. The speculation is that Pakistani fighters battling the Assad regime, or Syrian military personnel who have undergone training in Pakistan, may have inadvertently brought the virus to Syria with them. Two-thirds of the 400 or so polio cases recorded globally in 2013 were caused by strains imported to the affected country from elsewhere, again largely from Pakistan – while ninety-two actually occurred in Pakistan.. Sixty-nine per cent of these were concentrated in the Federally Administered Tribal Areas (FATA), where the Taliban is particularly active, while Peshawar – the main city that is a way station for people transiting to Afghanistan – is the largest polio reservoir in the world. The apparent link between polio and Islamist activity is no coincidence: efforts to eradicate the disease in Pakistan, Afghanistan and Nigeria – the only three countries where the disease remains endemic, with ‘wild’ or naturally occurring strains still circulating – have long been challenged by Islamist militants who claim that the vaccinations are a Western plot to make their children infertile, to spread AIDS, or that health workers are undercover Western spies. The latter claim is not without substance: Dr Shakil Afridi, a Pakistani physician working for the CIA, famously obtained DNA from children in Abbottabad in the hunt for Osama bin Laden, under the cover of a fake immunisation campaign. Such suspicion can have a devastating impact: twenty-seven polio workers have been assassinated in Pakistan since December 2012. Nonetheless, as long as the virus remains endemic in Pakistan, jihadist fighters will be able to inadvertently carry it to other areas of instability across the globe. This problem is not exclusive to Pakistan. In May 2013, cases of the disease were recorded in Somalia’s capital Mogadishu for the first time since 2007, caused by strains imported from northern Nigeria, where imams and local political leaders issued a polio-vaccination boycott in 2003. In February 2013, the Islamist group Boko Haram murdered nine young women working on polio-vaccination programmes. Meanwhile, the spread of the disease across Somalia itself has been further helped by Al-Qa’ida-affiliated Al-Shabaab extremists discouraging parents from vaccinating their children by claiming that the vaccines contain AIDS. How the world reacts to this global public-health emergency in the coming months – particularly over the summer, which heralds what is traditionally the high-transmission season for polio – will determine whether we can realistically continue to aim for a world that is polio-free. Co-ordinating international efforts to support vaccination programmes in failed and fragile states is one response. Another measure – that has now been implemented by WHO – is to limit international travel from affected regions by those who cannot prove they have been vaccinated. This is an approach that has also been replicated within countries. For example, Pakistani President Nawaz Sharif has stipulated that no unvaccinated child from FATA be allowed to enter the settled areas of Pakistan. He has also ordered army protection for polio vaccinators going into volatile regions of the country. Other more creative measures should also be considered. The Organization of the Islamic Conference has issued fatwas in support of polio vaccination, and Pakistan has encouraged senior imams to speak out on the topic. On 16 May, the White House issued a statement that the CIA will no longer make operational use of vaccination workers. But beyond these, there needs to be greater awareness amongst the broader security community of how this niche problem can develop into a global threat – an ancillary product of instability and violence that can have deep, longer-term ramifications. Security issues and the success or failure of WHO’s Global Polio Eradication Initiative are clearly, if intricately, linked. As such, efforts to wipe out polio in its last few remaining strongholds must be approached with both in mind. WHO. ‘Poliomyelitis’, Factsheet No. 114, March 2014. Abdul Momin Kazi, Muneeb Khalid and Abdul Nafey Kazi, ‘Failure of Polio Eradication from Pakistan: Threat to World Health’, Journal of Pioneering Medical Sciences (Vol. 4, No. 1, January–March 2014) ..
Another piece for my institutional home’s analytical publication, Newsbrief, this time looking at the relationship between Pakistan and China. While this is not exactly Central Asia, it still forms a component of my bigger research project looking at China in Central Asia with Alex. More on this broader theme on the way. China’s Pakistan policy has three principal pillars – political, economic and security – which, together, leaders in Pakistan see as their main bulwark against international abandonment. Elites in both countries have publicly signalled the importance of the Sino–Pakistani relationship. For example, Premier Li Keqiang was the first foreign leader to visit Pakistan after Prime Minister Nawaz Sharif was elected in June 2013, while Sharif made China his first international destination as prime minister. Meanwhile, speaking about the region more broadly, China’s Ambassador to Islamabad Sun Weidong told Pakistan’s National Defence University in October that ‘the Chinese government attaches great importance to developing relations with South Asia, and takes South Asia as a key direction of China’s opening up to the west and a prominent position in China’s neighbouring diplomacy’. However, the decision to refer to Pakistan in the regional context reflects a divergence of views between the two countries on the importance of the relationship. While China clearly cherishes its links with Pakistan – indeed, Ambassador Sun closed his speech with the rallying call: ‘May the China–Pakistan friendship last forever!’ – the relationship between the two is imbalanced, with China the big brother and Pakistan the supplicant. Indeed, for China, Pakistan is significant particularly within the broader regional context of relations with the countries along its western borderlands – stretching from Kazakhstan in the north to India in the south. Ties with Pakistan are seen by Beijing as part of this wider picture, rather than constituting a bilateral relationship in its own right. This has been evident, most recently, in the relatively slow progress on the China–Pakistan Economic Corridor (CPEC) – a 2,000 km route connecting the Pakistani port of Gwadar with Kashgar in the northwestern Xinjiang region of China – which was formally mentioned during Chinese Premier Li Keqiang’s May 2013 visit to Pakistan. Always an ambitious project, at a Sino–Pakistani track-two meeting in Beijing in August 2013, Lin Dajian, vice director general of the Department of International Cooperation at the National Development and Reform Commission, highlighted ‘the security issues and challenges that could impede the speed of [the] project’. A month later, Ambassador Sun more pointedly stressed the expectation of Pakistani support in ‘safeguarding the security of Chinese institutions and citizens in Pakistan’ as they developed the CPEC. Other Chinese firms with investments in Pakistan have previously expressed similar concern for the safety of staff based there. In September 2011, China Kingho Group, one of the country’s largest private coal-mining firms, backed out of a $19 billion deal in Pakistan’s southern Sindh province, telling the Wall Street Journal that this was out of security concerns for its staff. In 2004, the Chinese state-owned enterprise Sinohydro, which had won a contract to build the Gomal Zam Dam in Pakistan’s restive southern Waziristan province, suspended work when Chinese engineers were kidnapped near the site. One died during a rescue attempt, and the project was delayed for a further three years while Sinohydro aggressively renegotiated the contract (more than doubling its price). While this dam has now been completed, other Sinohydro projects, like the Duber Khwar hydropower project, have encountered similar problems. These examples highlight the difficulties – even for Chinese companies – of doing business in Pakistan, belying the overly positive vision of the relationship often portrayed by the media. It also casts some doubt on the feasibility of the CPEC. With the state-owned China Overseas Holdings Limited responsible for managing the Gwadar port since February, focus has turned to the attendant ambitious plans for the Chinese-led re-development of Pakistan’s roads, railways and pipelines, with the aim of transforming the country into a giant highway conveying Chinese goods to the open seas. So far, however, it is unclear how much progress has been made on rendering the port usable. In July, it was revealed in the Pakistani media that an investigation would be initiated into why a Chinese ship had been unable to reach the port due to heavy silt, despite ‘billions of rupees’ having apparently been spent on dredging work. Yet China’s security concerns with regard to Pakistan extend beyond apprehension about the safety of its nationals. In October 2013, a BBC Urdu report indicated that, at the behest of the Chinese government, Pakistani authorities had added the East Turkestan Islamic Movement (ETIM – known within the group itself as the Turkestan Islamic Party) as well as the Islamic Movement of Uzbekistan (IMU) and the Islamic Jihad Union (IJU) to its list of proscribed terrorist organisations. This announcement came amidst a period of turbulence in China, which saw attacks in Xinjiang and one in central Beijing in Tiananmen Square in late October. Although Chinese authorities did not specifically mention a Pakistani link in relation to these attacks, they have previously referred repeatedly to Pakistan or South Asia (which is usually read as Pakistan) as the source of such plots. They also reported, in the aftermath of a number of the attacks in Xinjiang and the Beijing incident, that radical material produced by ETIM had been found at the homes of those involved. The nature of this connection with ETIM is unclear. While there are radical elements in Xinjiang who might use the ideological inspiration of the group as cover for their actions, it is not clear that there is a command-and-control connection. Certainly, those elements of ETIM that do exist outside of China mostly reside in Pakistan’s badlands, under the protection of those close to the most fervently anti-state members of the militant outfit Tehreek-e-Taliban Pakistan (TTP). There, they produce a constant flow of radical videos, magazines and audio messages, calling for the overthrow of the Chinese state and for funding and support. In two messages in 2013, ETIM leader Abdullah Mansour praised those behind recent acts of violence in China: one message was released following an incident in Bachu County in April in which twenty-one were killed after a confrontation with authorities, and the other in the wake of the Beijing attack. However, Mansour did not claim responsibility for these two attacks, instead appearing more eager to give the impression that such acts are not the product of mindless anger, but of a global jihad. Indeed, domestic messaging about international links to recent incidents in China tends not to refer specifically to Pakistan, but – increasingly – to Syria. For example, Chinese officials have suggested that individuals involved in attacks in Xinjiang also intended to go to Syria while reports in the Chinese media in July 2013 suggested that ETIM members were already fighting there. Subsequent reporting indicated that one member of the group had confessed that he had been dispatched from the battlefield in Syria with orders to conduct some sort of attack in China. Whilst the specifics of these reports are unconfirmed, videos have emerged showing Chinese-speaking individuals and Uighurs on the battlefield there – although whether they hail from China originally or from the large diaspora community in Turkey is unclear. Despite this, for Beijing, the decision to push for Pakistan to list these groups as terrorist organisations seems more closely linked to concerns that ETIM is increasingly seeking and receiving support from other Central Asian groups based in Pakistan’s badlands. Indeed, the increasingly broad fusion of jihadi groups in the region is likely to be appealing to ETIM, which has historically had difficulty sustaining itself and gaining traction among its counterparts internationally. Furthermore, Central Asian groups like IMU and IJU would be natural partners given their linguistic and ethnic proximity, and recent reports indicate that IMU in particular has been moving northward through Afghanistan, possibly heading back towards its primary ideological target – Islam Karimov’s regime in Uzbekistan. As such, Chinese analysts speak with growing concern about the ‘re-networking’ of extremist groups across the broader Central Asian region. This is where the importance of Pakistan to China, due to its role and position in the region, becomes clear. Although China has invested substantially in Pakistan itself, it has also invested heavily in the broader region. Afghanistan, Central Asia and India are all potential trade partners and sources of the natural resources needed by China to bolster national growth and, more specifically, to enhance development in Xinjiang. Instability in Pakistan – perhaps through the presence of terrorist organisations – has the potential to undermine such efforts. Thus the prosperity and, indeed, the survival of the Pakistani state is essential to China. Yet Western policy-makers must remain cautious in their interpretation of this relationship. While China may have a great deal invested in Pakistan, the way in which it pursues its interests there is not likely to further those of the West. Indeed, China will advance an agenda that, first and foremost, safeguards its citizens and assets. It will be unlikely to take on a major security role, preferring to bolster local authorities with whatever they say they need to counter the threat. Human-rights issues are unlikely to be prioritised, and in cases where bribes are required to expedite a process, it is unlikely that Chinese firms will hesitate to oblige. The positive side of all of this is that China will provide Pakistan with useful infrastructure, be it roads, ports, railways or alternative sources of electricity. China has also demonstrated a willingness to lean on Pakistan when the mutual hostility with India becomes too tense: in the wake of the 2008 Mumbai terrorist attack, Chinese shuttle diplomacy was important in soothing tensions. Following a visit by then-President Zardari of Pakistan to India in 2012, former Pakistani Prime Minister Gilani told the press that it was ‘our best friend China … [which] advised us to promote trade relations with India’. The end result is a situation in which China will increasingly find itself as the responsible partner to Pakistan, drawn more closely into Pakistani affairs. However, Beijing is unlikely to push for reforms within the Pakistani system or to try to influence affairs beyond its own specific interests. Any Western–Pakistani spats or discussions will be left to one side, with China more eager to nurture a stable country than one that is friendly with the West.